Recently I wrote an article about the link between using Japanese Barberry shrubs in landscaping and an increase in human Lyme disease infection rates in the surrounding neighborhoods. As people in Saratoga Springs, NY are learning about how we the people are collaborating against ourselves in a public health crisis through lazy and shortsighted landscaping practices, I’m hearing from more and more people who are enthusiastically interested in replacing the Barberry in their landscaping with native plants, either native shrubs like Viburnum, Red or Black Chokeberry, Clethra or Elderberry, or a tasteful native wildflower design as shown in this photo. 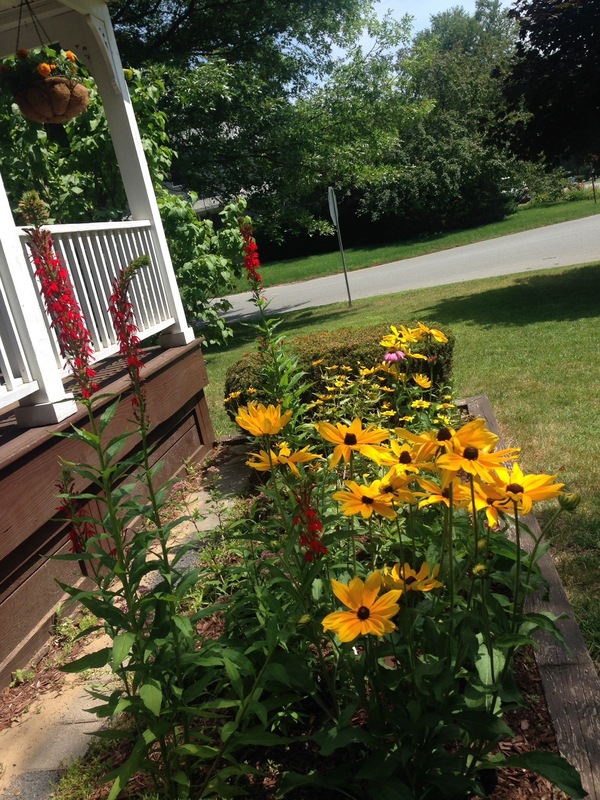 Where there is now a rich mix of Cardinal Lobelia, Ox-Eye Sunflower, Coneflower, Little Joe Pye Weed, Phlox maculata and Rudbeckia hirta there once was the noxious, invasive Japanese Barberry and boring, non-native Holly bushes. 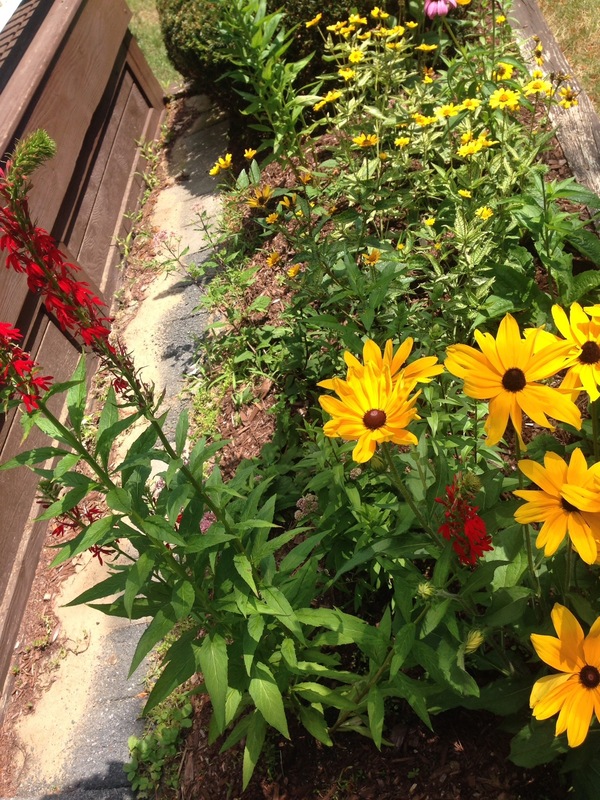 Replacing invasive plants with natives is an investment in our community. It strengthens our ecosystem by offering food to our butterflies, pollinators and songbirds, and the beautification value can not be understated. These homeowners can have cut wildflowers for bouquets all season long now if they wish now, which is aesthetically a huge step up from looking at the tired Barberry all the time. I hope to get many more calls for replacing Japanese Barberry with native wildflowers and shrubs in Saratoga Springs this summer and fall, because it’s one of the best type of project there is.